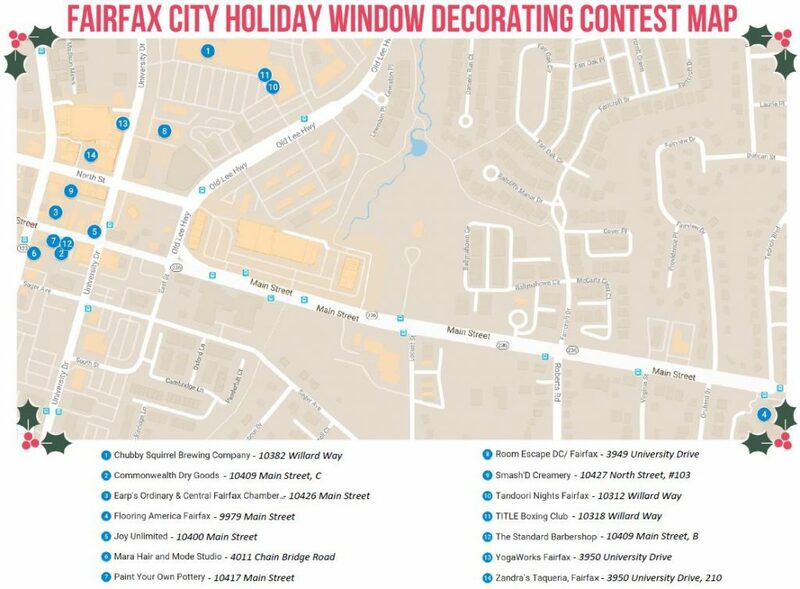 Fairfax City businesses and restaurants want your vote this holiday season for the distinction of being the best holiday decorated storefront city window! Hosted by the Office of Economic Development, the decorating contest features classic holiday themes such as “How the Grinch Stole Christmas”, “Elf”, and “Frosty the Snow Man” for the First Annual Holiday Window Decorating Contest. The contest will have prizes awarded for two categories, the “Grand Prize” and “People’s Choice”. The Grand Prize award will be determined by the Mayor and City Council and Fairfax City’s Office of Economic Development. The design will be reviewed on craftsmanship, originality, creativity, and effective use of color and material. 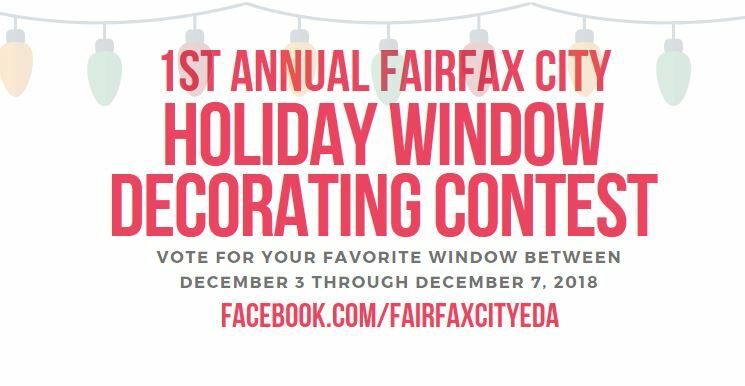 To determine the “People’s Choice” award winner, Fairfax City residents and visitors are invited to vote for their favorite window display between Monday, December 3 through Friday, December 7, 2018 by liking photos of the participating displays on the Facebook page of Fairfax City’s Economic Development Authority (EDA). Photos of all of the participating businesses will be posted on Monday, December 3. Winners will be announced via the EDA’s Facebook page and with a blog entry on Friday, December 14, 2018. Award winners will be presented with a trophy to keep in their place of business until next year’s competition. Error: Error validating access token: Session has expired on Tuesday, 21-Aug-18 08:56:08 PDT. The current time is Sunday, 21-Apr-19 21:29:13 PDT.